The Mastiff 2 is the newest addition to the British armed forces' range of patrol vehicles. Derived from the American Cougar, Mastiff 2 underwent more than 50 modifications to meet UK forces' requirements. Mastiff 2 succeeds the Mastiff protected patrol vehicle (PPV), pictured. It is based on the US Cougar, but is fitted with additional features to suit the requirements of UK forces. The Mastiff 2 protected patrol vehicle. Mastiff 2 is part of the British armed forces’ range of patrol vehicles. Mastiff 2 joined operations in June 2009 and is currently deployed in Afghanistan. Altogether 300 Mastiff 2 vehicles are now in service. Mastiff 2 succeeds the Mastiff protected patrol vehicle (PPV). It is based on the US Cougar, but is fitted with additional features to suit the requirements of UK forces. Cougar is a family of armoured vehicles built for the US Marine Corps in 2004. Mastiff is the UK variant of the Cougar and is the first vehicle of the armoured class. The first Mastiff arrived at the Afghanistan front in December 2006 after undergoing upgrades with specialist equipment. The Mastiff was employed for training the British armed forces in Iraq and was used for patrolling in Basra, Iraq. "300 Mastiff 2 patrol protection vehicles are now in service." Manufactured by Force Protection, the maker of ballistic and blast-protected vehicles, the integration work of Mastiff 2 was carried out in the UK, by NP Aerospace. The UK Ministry of Defence (MoD) awarded several contracts to Force Protection and NP Aerospace between 2006 and 2009 for the delivery of the Mastiff 2. Force Protection delivered the first batch of 86 Mastiffs in 2006. 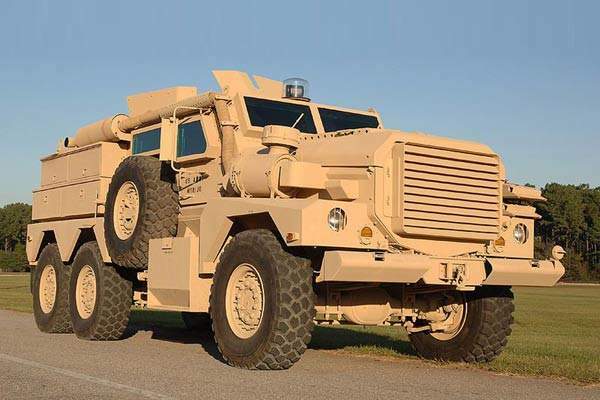 The company signed a $15m contract with Marine Corps Systems Command in 2008, to deliver another 24 Mastiff 6×6s. The initial batch of Mastiff 2s was delivered along with spare parts in June 2009. A £60m contract to deliver Mastiff 2 with improved axles and suspension and other features was awarded to NP Aerospace in 2008. 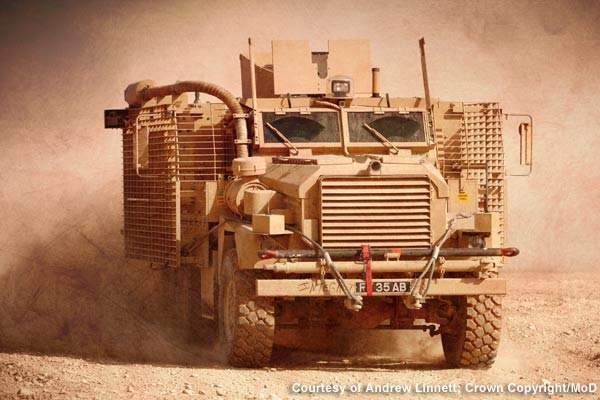 Under a $10m subcontract with Force Protection, Foster-Miller supplied armour for 85 Mastiff vehicles. Foster also contributed towards the redesign initiatives on the UK Mastiff programme. Foster-Miller is a technology development firm and is a subsidiary of QinetiQ North America (QNA). In January 2010, the Marine Corps Systems Command ordered 23 Mastiff explosive ordinance disposal (EOD) variants for the UK via a $16.1m foreign military sales (FMS) contract. The first five vehicles were delivered in February 2010. In April 2011, Force Protection received a $27.4m sub-contract from Integrated Survivability Technologies (IST) to supply 47 Mastiff vehicles for the UK MoD. IST is a joint venture between Force Protection Europe and NP Aerospace. Derived from the American Cougar, Mastiff 2 underwent more than 50 modifications to meet UK forces’ requirements. Mastiff 2 has a better design and fit than the standard Cougar. One development was the inclusion of large vertical armour plates to make the vehicle more effective in combat. Weapons are placed at the firing points to provide high levels of survivability and protection from bombs and landmines to patrolling troops. The armour is effective in both urban and rural environments. "The Mastiff PPV is the UK variant of the Cougar and is the first vehicle of the armoured class." The vehicle is equipped with a v-shaped hull, internal liners and shock- mounted seating. Mastiff 2 has an increased crew capacity, electrical power and CES / stowage locations. The vehicle has bigger axles and suspension (for Afghan terrain) along with new, redesigned gunners step, an electronic turret traverse mechanism engine and fuel tank fire suppression systems. Blast attenuating fold up seats, improved armour, new situational awareness system incorporating a thermal imager for the driver are the other improvements made. The upgraded version can serve in various supporting roles. Used by explosive ordinance disposal (EOD) teams, the Mastiff 2 can also fit the role of communications and command control, recovery vehicle, ambulance and the artillery primary mover. The Mastiff 2 patrol vehicle is powered by the Caterpillar C-7 diesel engine, which yields up to 330shp of power. Mastiff 2 achieves speed of 55mph at ranges of up to 700-800 miles on road. Mastiff 2’s maximum power reaches 330shp and cruise speed of 25m/s. The latest Mastiff 2 has increased performance features along with improved payload. Training on the Mastiff 2 vehicles for the British troops was carried out at the UK Defence School of Transport in Europe. Mastiff has been successful in a lot of missions and was earlier deployed by United States Armed Forces (USAF), Iraqi Army, and Mexican and Canadian armed forces. Mastiff 2 also participated in the Iraq war. Mastiff 2 can be used for a wide range of military operations and can be deployed for urban warfare and reconnaissance. The vehicle can carry military equipment, such as bomb disposal robots. It is custom built to ferry infantry troops around danger zones. The heavy armed vehicle is currently in use by the Royal Engineers and bomb disposal teams. 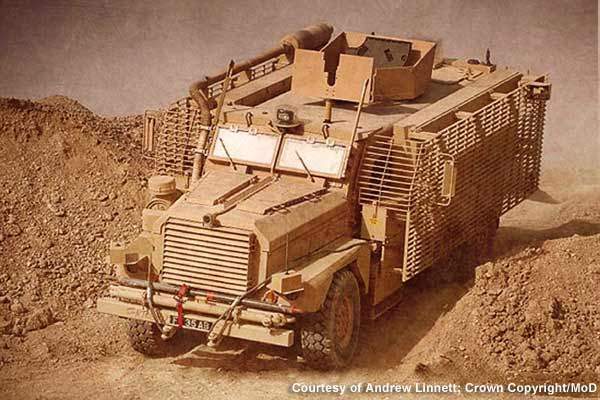 The vehicle is fitted with increased seat armour to protect soldiers when faced with an impact. Mastiff 2’s armour incorporates Dyneema Unidirectional (UD), a special material used for improving protection and flexibility. The lightweight material gives improved protection to the vehicle from landmines, fire or explosions. Dyneema UD is manufactured by DSM Dyneema, which specially designed the material to provide more safety to the army vehicle. The heavy patrol vehicle, featuring ballistic and mine protection technology, permits heavy combat engagements. The presence of Bowman radios (including the GPS function) and electronic countermeasures with additional armour, ensures increased protection. Provision of additional armour on Mastiff 2 will provide the operators with a safe environment far beyond the standard level. "Force Protection delivered the first batch of 86 Mastiffs in 2006." Mastiff 2 is equipped with the latest armaments, which include a 7.62mm general-purpose machine gun, 40mm automatic grenade launcher or 12.7mm heavy machine gun. The heavily armoured vehicle is armed with roof-mounted small-calibre guns. Along with remote weapons system, a joystick and a camera are provided to the operator for better command of the vehicle. Improved self protection and thermal imaging are a few of the improvements made to Mastiff 2 over the original Mastiff. The fire control systems of Mastiff 2 are especially useful in minefields. The vehicle can transport troops as well as an explosions detection robot. Mastiff 2 has precision fire control features that enable operators to visualise every target. Soldiers can also perform crater analysis and each hit can be spotted for long-range firing. This project forms part of our recent analysis and forecasts of the global armoured and counter-IED vehicles market available from our business information platform Strategic Defence Intelligence. For more information click here or contact us: EMEA: +44 20 7936 6783; Americas: +1 415 439 4914; Asia Pacific: +61 2 9947 9709 or via email.